You’ve asked. We’ve answered. Today, on the Your Home Story Podcast, Suzannah and I are tackling your design questions. To be fair, though, we are tackling a bit more than design. The questions that have been coming in are a bit all over the place and we love that! So, keep ’em coming. Where do I buy Benjamin Moore paint? What are the MUST-HAVE Tools for DIY? How do you decide whether to BUY or rent tools? How did you start the podcast? How do you record a podcast with hosts not being in the same location? How do you get your partner on board with decor and projects? How do you pull together an eclectic vibe without it looking like a circus? *If you want more ideas for working with a spouse or a significant other on rooms, renovations and design then definitely check out our podcast on How to Decorate with a Spouse. 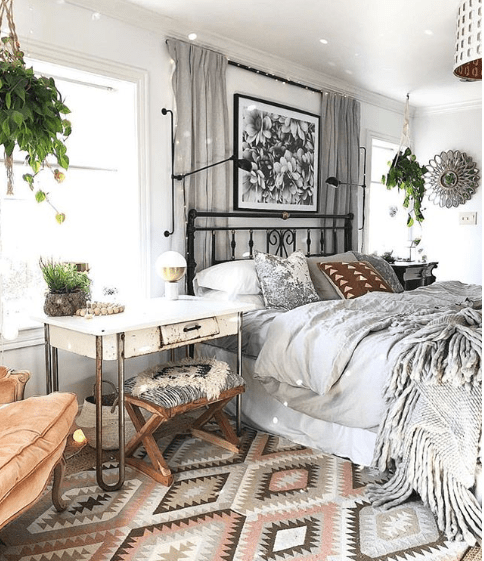 ** If you have an eclectic style and aren’t sure where/how far to take your spaces… I’d recommend following Jen from Blissfully Eclectic. I personally loved our chat today and hope to do more Q&A chats in the future. To do so, we need your questions! Feel free to email them to us at yourhomestorypodcast@gmail.com or DM us on Instagram. If you were interested in the second question, “What are the MUST-HAVE tools for DIY,” I’ve included some of my favorites below. I hope you loved today’s Design Questions podcast. If you are new here, head to my podcast page and take a look around. The podcasts that we’ve recorded are all there.